About Us | F & F Equipment Sales of Alta Loma California - Equipment Appraisals. We make it simple for you to get the equipment you need. If we don't have it we'll find it for you. With over thirty-six years in the Ready Mix and Aggregate Industry, the owner of F&F Equipment has served the construction industry with his extensive background and expertise in mobile equipment operations, sales, repair, maintenance, appraisals for acquisition, operations, transportation and procurement management. F&F Equipment specializes in ready mix and aggregate processing equipment, so let their experience assist you in purchasing the right equipment. Our inventory is very fluid so call now to get an update on our current stock of pre-owned equipment. Please check our inventory online. Remember, if we don't have it we'll find it for you. 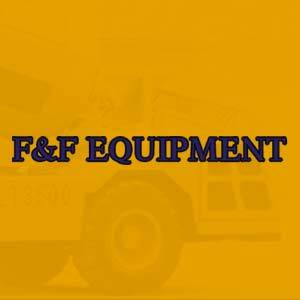 F&F Equipment specializes in ready mix and aggregate processing equipment.